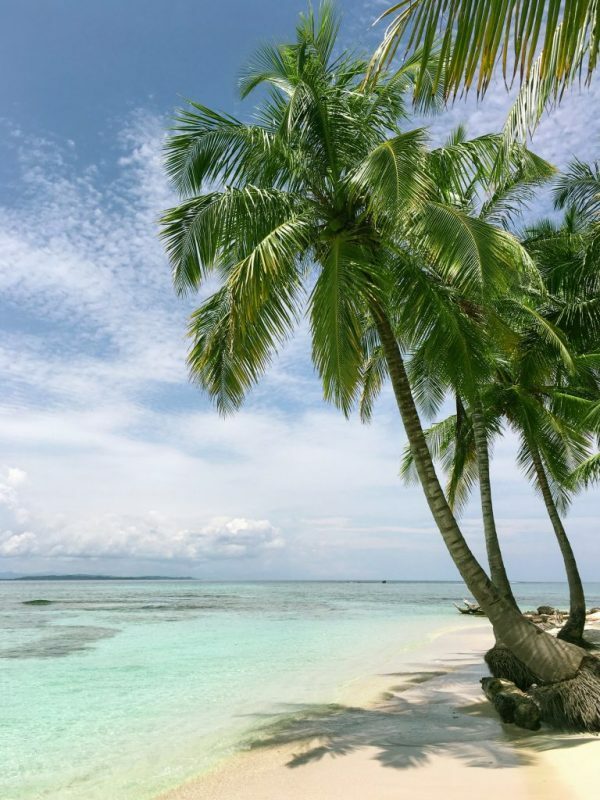 Panama has it all, for me, it’s the perfect exotic holiday destination! 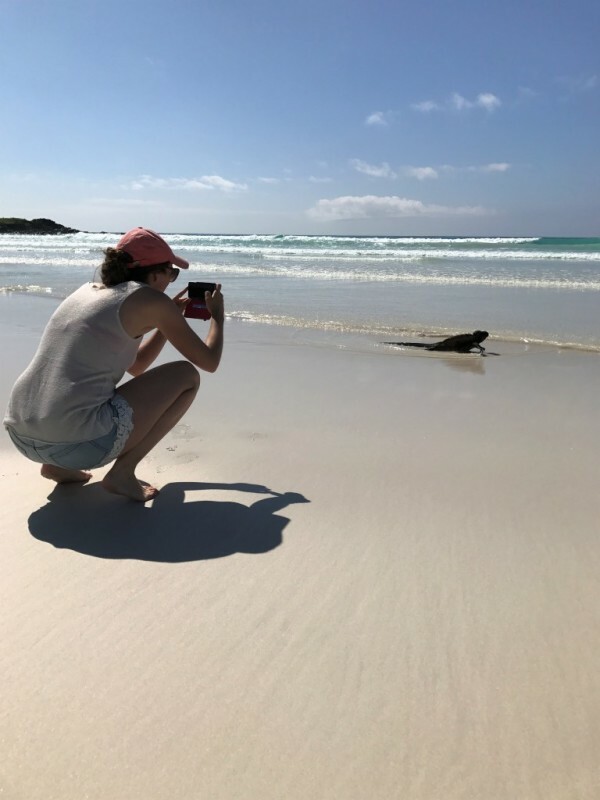 It’s small in size but it offers a big variety which is easy to reach; exotic tropical rainforests, beautiful beaches, more than a 1000 islands, best surf spots, an incredible nightlife, breathtaking views, Spanish colonial architecture, jungle, rafting and kayaking. 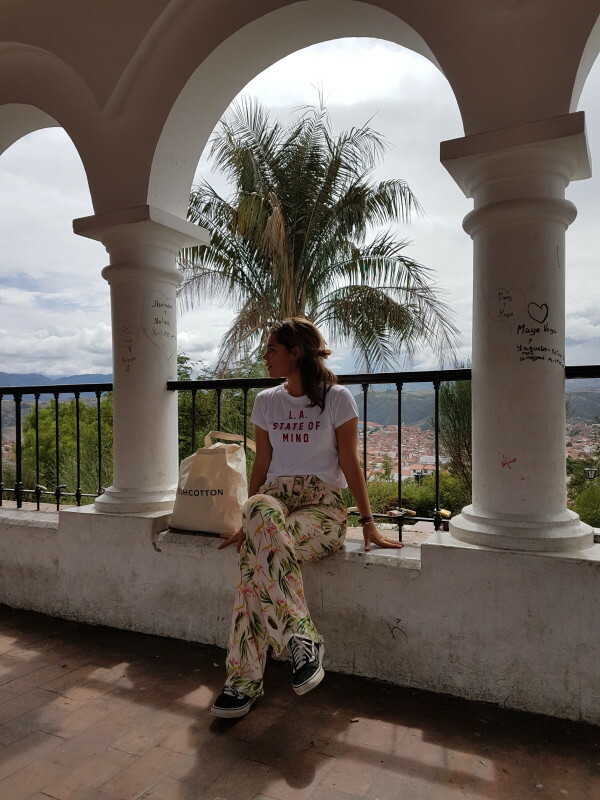 Panama really surprised me and here are my personal tips! 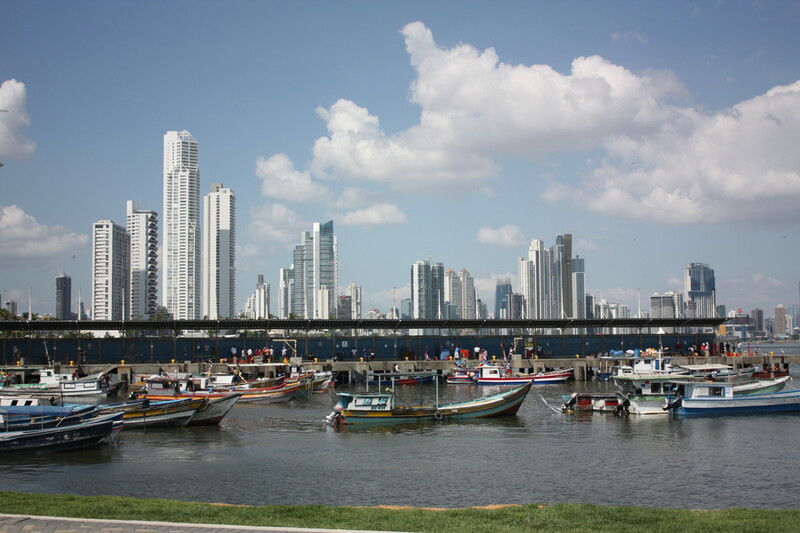 When you enter Panama you will immediately see a very impressive skyline on the right side that is surrounded by tropical rainforest and on the left sight you see the beautiful ocean where people are surfing. In Panama city you will find the business district on one side, with lots of hotels and restaurants with the best shopping opportunities, and on the other side you will find Casco Viejo district, historical center built in the 17th century. There’s a lot to discover and activities like jungle trips, a visit to Panama canal are just a few hours away from the city. Panama still struggles with crime and poverty. In some areas you’re not allowed to enter, which you will know when the police will tell when you try to enter a street. Panama is definitely tourist friendly, you feel save during the day and night, but people recommend you to take a taxi in the evening. The skyline of Panama is so impressive! 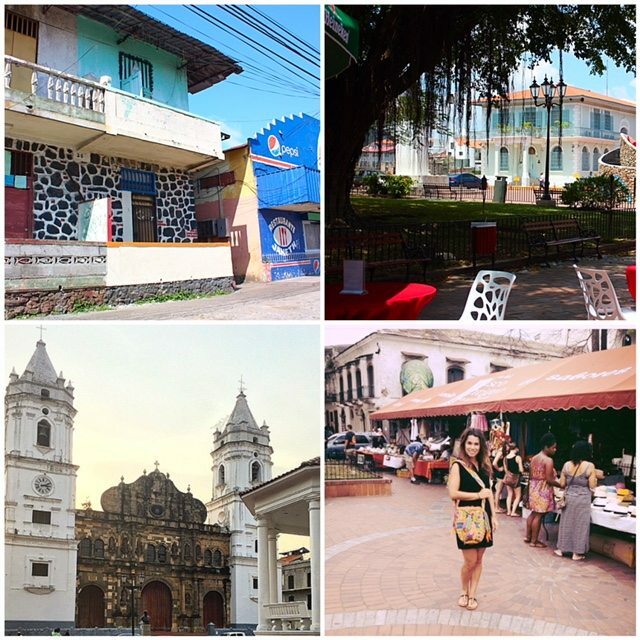 We stayed in the historic district of Panama City, Casco Viejo – which means old quarter in Spanish, and is only 10 min. away from the business district by taxi. Casco Viejo is small, but you can wander around for days, since this cozy neighborhood has a lot to offer: numerous bars, various restaurants where they service top notch food, great nightlife with some very nice bars where you can order delicious local beers and fresh cocktails, street art, castles, museums etc. 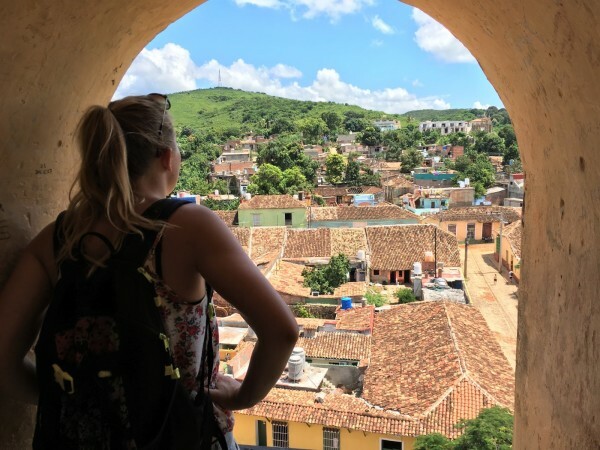 We only had two days to explore Casco Viejo, before heading to the islands, which was too short and therefore we came back again on the end of our trip! You feel at home right away; the locals are very friendly and the area is so incredibly beautiful. Take a walk along the beach where you will have the impressive ocean view, wander through the streets and admire the Spanish architecture with beautiful pastel colored buildings, have a coffee at one of the quality coffee shops, stroll at Plaza de La Independencia Market where I bought this handmade Wayuu Mochila bag, check out the Panama Canal, wander and end your evening with a very nice dinner and have some fresh cocktails at the oceanfront art bar. A propeller plane took us from Panama City to Bocas Del Toro. 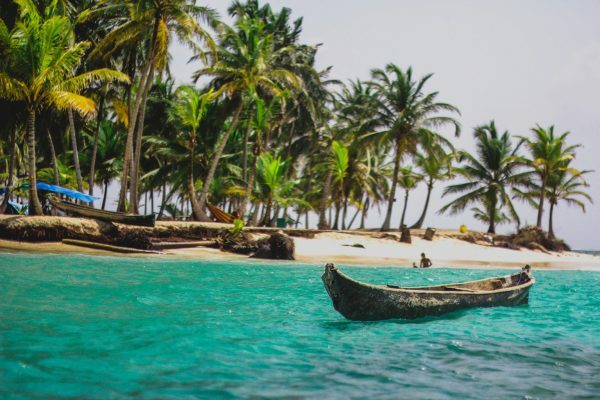 After one hour you see the Caribbean Sea, the archipelago’s nine islands, surrounded by hundreds of tiny uninhabited islets and the mainland, Bocas Town. It takes a 10 min.walk to enter Bocas. 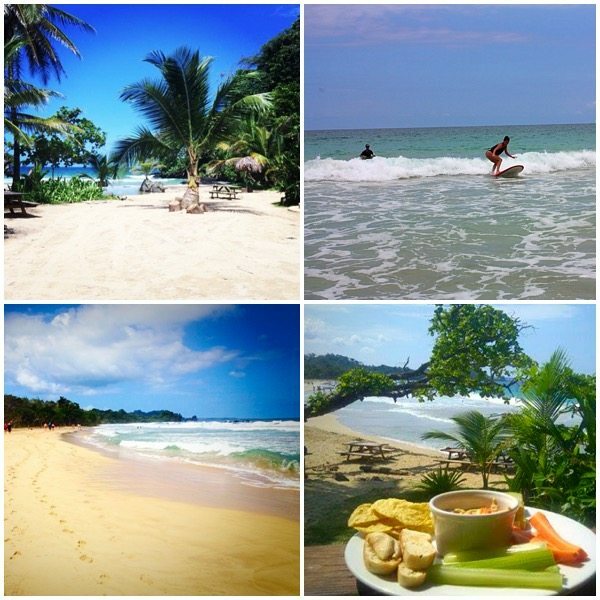 Bocas is a hotspot amongst travelers all over the world where most lodging and restaurants are. Water taxi’s depart from this mainland to the different islands. 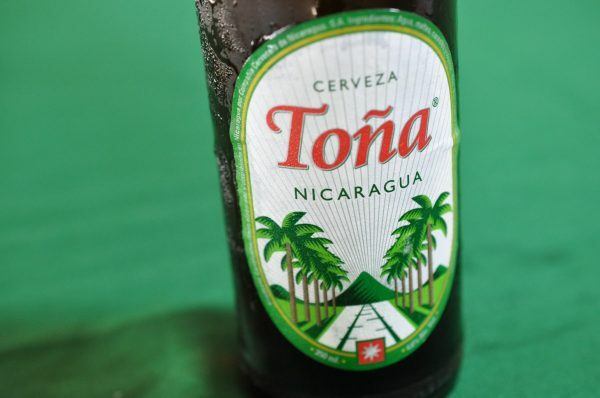 During the day you can wander the streets for shopping, drinks and food and in the night Bocas is known for their famous party’s. Are you looking for a more quit holiday, then you should definitely stay at one of the island like we did. Each island has its own unique vibe and offers travelers diversity. We skipped the mainland and went directly to Isla Bastimentos by boat, that takes 2 min. We’ve found this tropical romantic Caribbean beach front villa where we relaxed for almost one week. We stayed longer than planned since we really enjoyed the vibe and the surrounded islands with lots of activities. We swam in crystal clear water, enjoyed beautiful sunsets while drinking delicious cocktails and ate fresh fish which the local fisherman caught. We slept in a very nice cabin where you hear the sounds of lapping waves, parrots and monkeys. In the night we took a boat to the mainland for dinner and drinks. 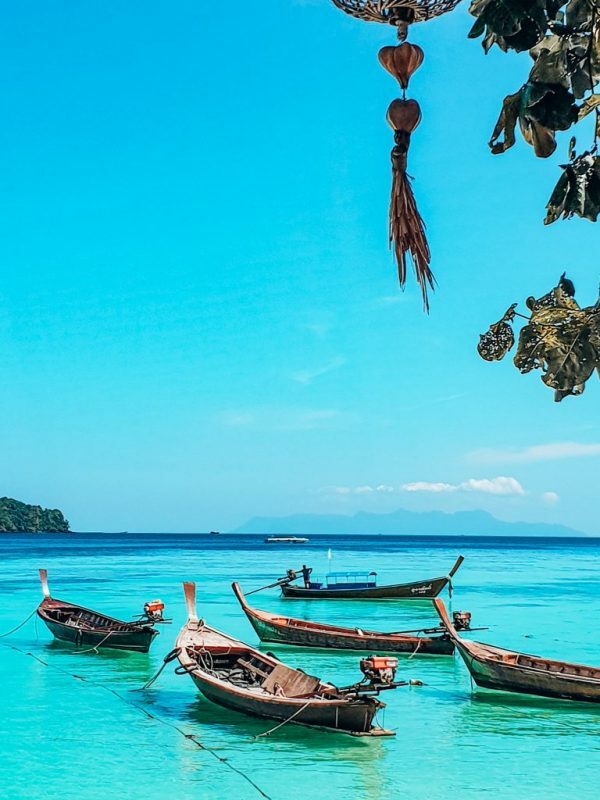 Taxi’s will bring you to different breathtaking islands where you can snorkel, surf, tan and relax. We often took the boat to some other islands. One of them is Red Frog Beach which is 10 min. from the mainland. We found this very cozy place, Palmer Tent lodge, where we met some very nice people, one of them was the owner. Unfortunately it was fully booked, we really wanted to stay for a few days. 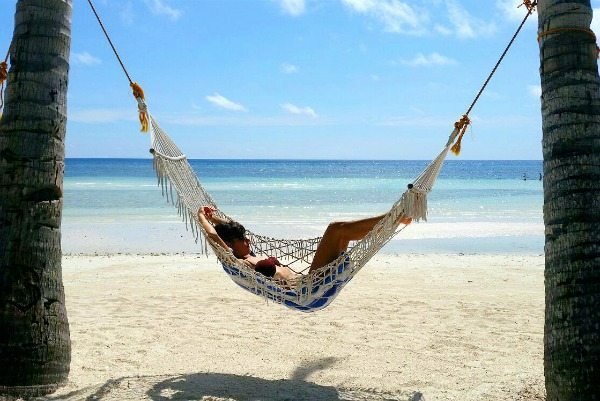 This Eco-friendly beach front place offers lots of activities like; surfing, hiking, zip line riding, yoga and most important you can really just relax in a hammock. They have a small but yummy affordable menu. I really enjoyed surfing, the teacher was so friendly and patient that I got the change the learn it even better. 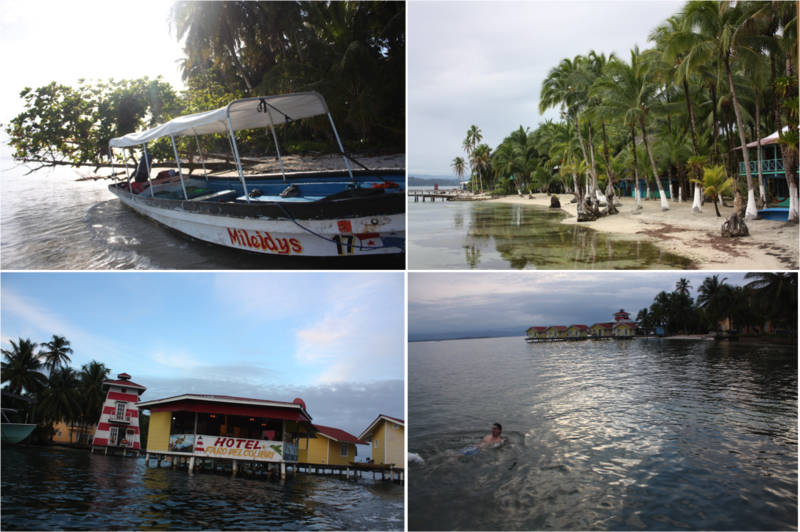 We didn’t managed to go to the San Blas islands because unfortunately illness struck me for a few days. It’s suppose to be heaven so hopefully we will get the chance to travel there again! Ever felt like making a completely new start? 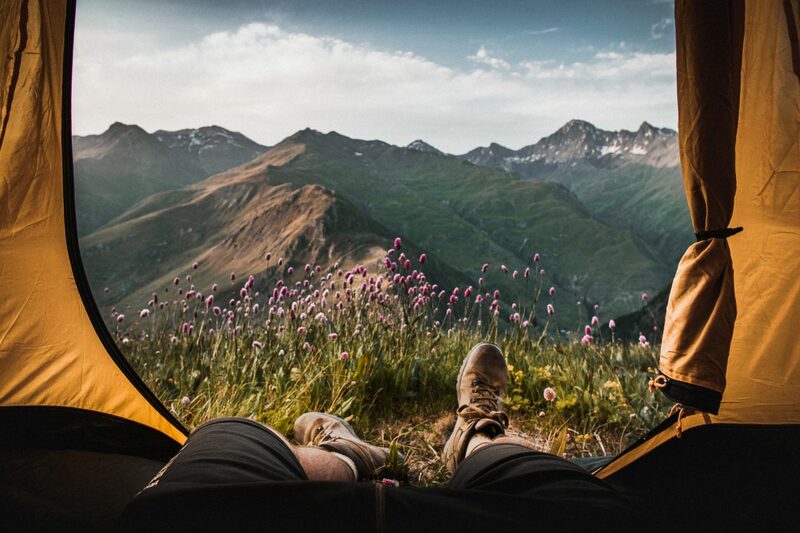 Leaving the good-old familiarity behind and follow your hunger for adventure? 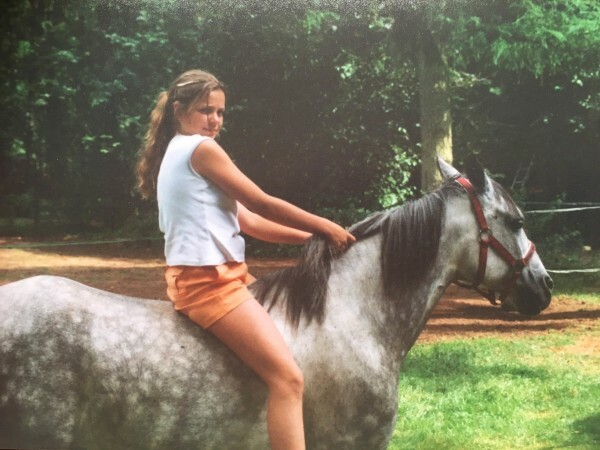 Rebecca Braak, owner of Ecua Horse Rides and Rebecca Adventure Travel, took the challenge and did exactly that. She followed her heart and moved to the sunnier side of the planet. New places, new people, new possibilities, new everything. It’s the ultimate out-of-your-comfortzone-challenge. The human version of rebooting your system. I asked her 7 questions on how she made it work. 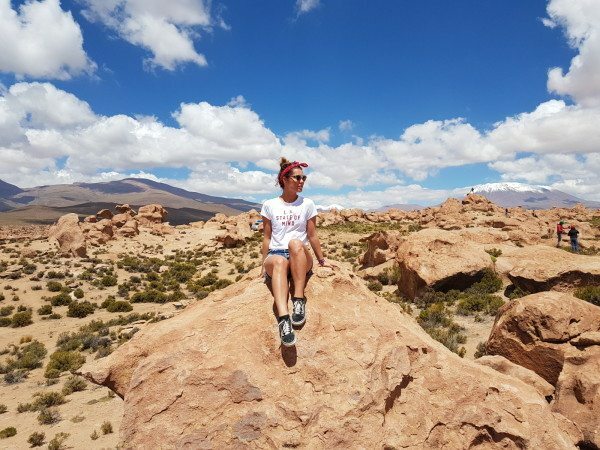 From corporate KLM in Amsterdam to her own travel company in Ecuador, from rain to sunshine and routine to absolute happiness. Read and learn! 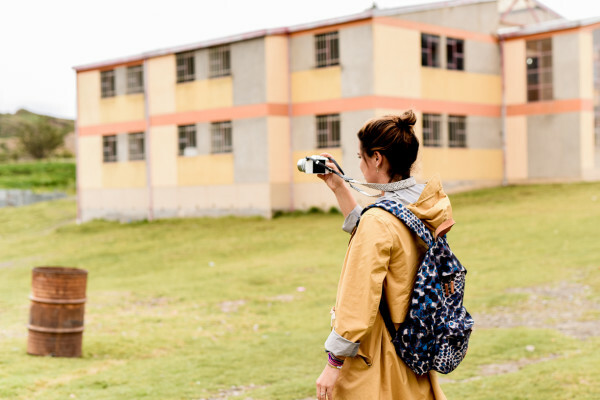 When did you come up with the idea of living in Ecuador? Immediately after my MBA graduation I got a wonderful position at my dream company KLM – Royal Dutch Airlines. I had a good job, great colleagues a nice house in Amsterdam and of course my friends. Everything was going well, but something very important was missing in my life; Horses! Life is short, so I decided the change had to be made right away. I decided to take 3 months off and looked for a place in the world where I could volunteer with horses. After spending some time on google I found a ranch where they could use some help with the training of horses, so I took my chance and a couple of weeks later I left to Ecuador to work on a horse ranch in the middle of the Andes. You turned your hobby into a travel agency, how did you come up with this idea and how did you make it work? I just decided to follow my heart and tried to build my life on the other side of the world. 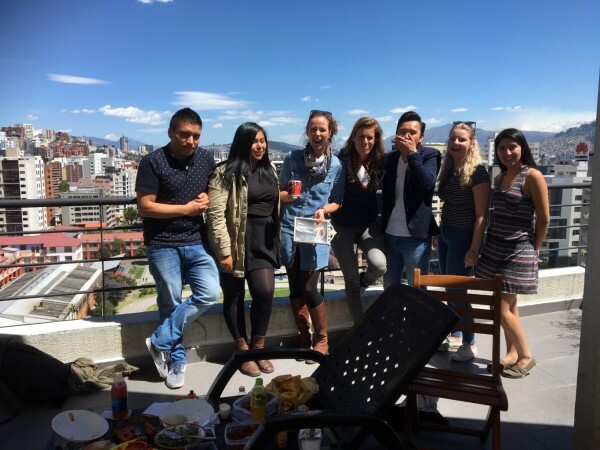 I had to earn money and therefore I decided to organize horseback-riding tours for the KLM staff who were having a 48 hour break in Quito. 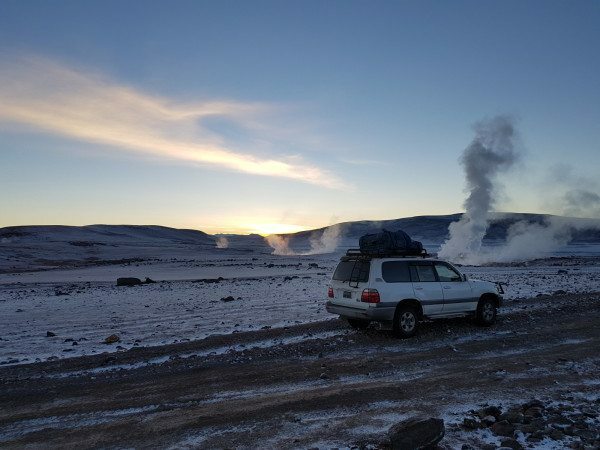 I bought a jeep and every day I sold the tours to guide them the next day. I really thought this was my dream job; horseback riding every day with new people through the beautiful Andes. But I did miss the business aspects and the dynamic which I experienced when I was working for KLM. Therefore, I decided to create two websites where guests could book tours online. Her website ecuahorserides.com became a hit and I can now proudly say I am an official tour operator in Quito. 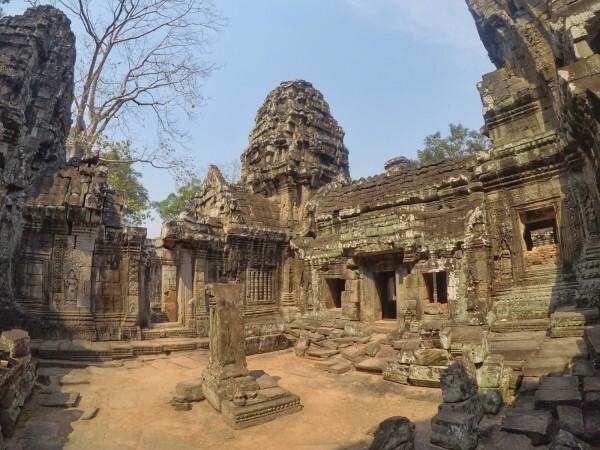 Was it hard for you to leave your comfort zone and start a new adventure overseas? I can not say that it has always been easy and there were definitely moments that I would have loved to pack my stuff and go back home with the first KLM flight, but I am happy that I pushed through. Sometimes I realize how much luck I have had to have this chance and how happy I am that I went on with it. 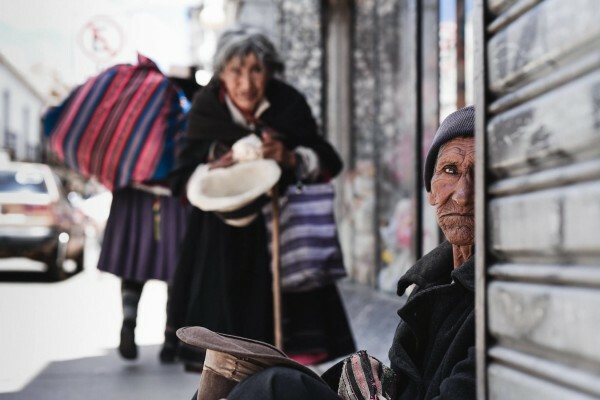 What are the positive and negative aspects of living in South America? 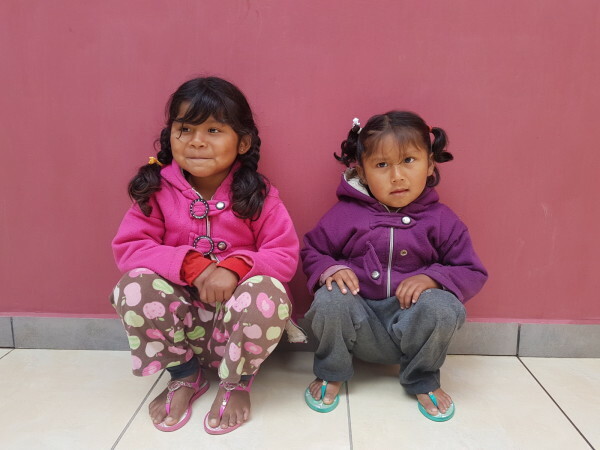 It is a lot easier for me to recall the positive sides of living in Ecuador then the negative ones. Living here is a lot more relaxed than in Holland. The nature is beautiful, it has a great culture to discover, the people are very friendly and you have got to love the Latin American music. 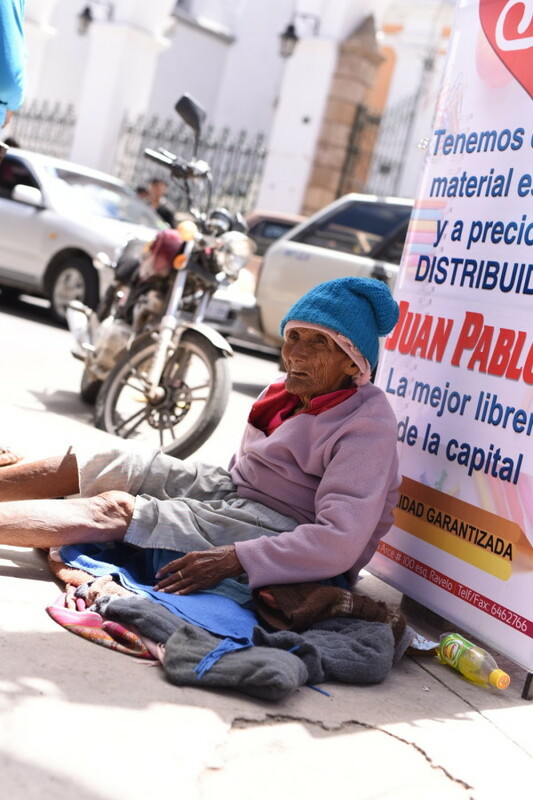 One of the biggest negative aspects of living in Ecuador would probably be the poverty and the fact it can be dangerous at times. In the Netherlands you can go anywhere, anytime by yourself on your bike, in Quito you should be way more careful at night. 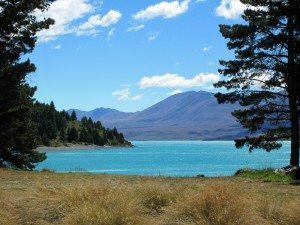 Which sights or activities (beyond the tourist traps) would you recommend when going on holiday to Ecuador? Stay as long as you can and see as much as you can. 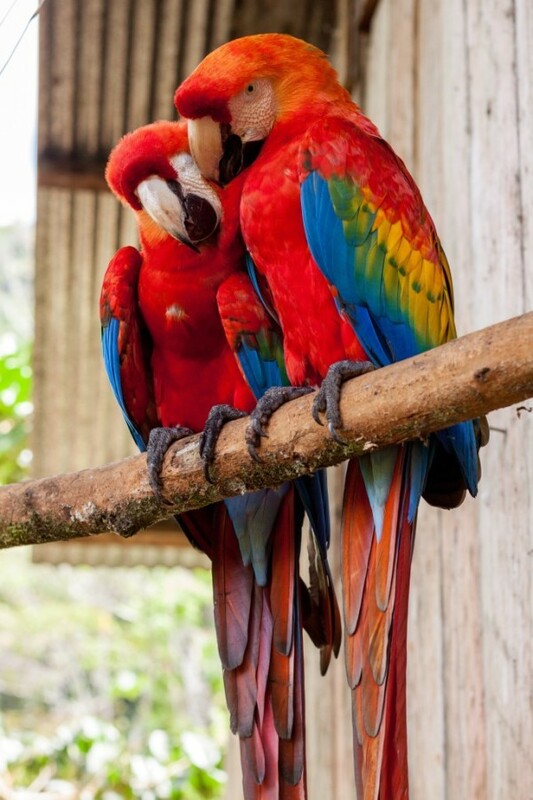 Absolute must visits are the Amazon, the Galapagos, the beaches and the volcanoes. 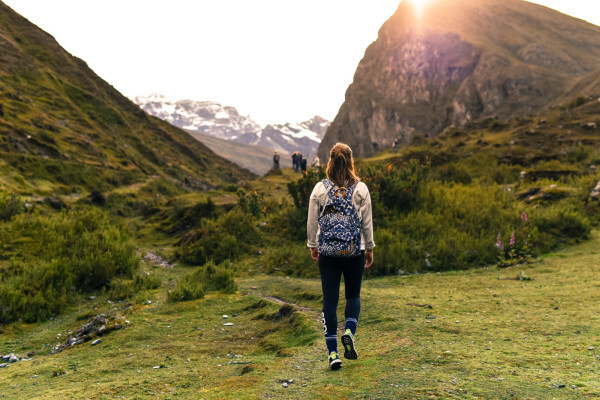 If you like hiking you will definitely enjoy the peace and quietness of the nature around Quito. Of course I have times in which I really miss my friends and family. Mainly when things are not going that well. Of course Skype, email and WhatsApp make it far more easy to stay in touch. Although it not the same as being home, it definitely helps. During bad days it helps me to realize I probably also would have had a bad day if I would have been in Holland. 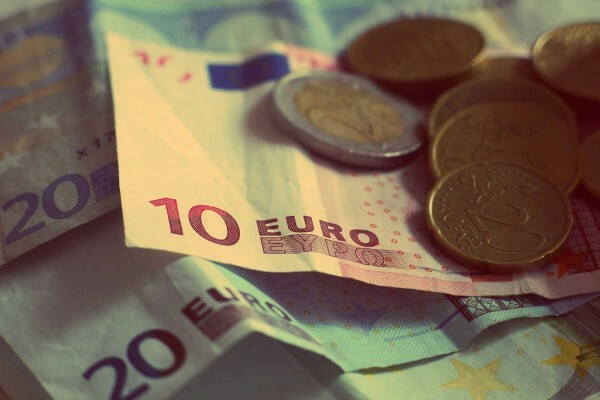 And finally, do you have any tips for readers that are considering moving abroad? Maybe this doesn’t sound that original, but I would strongly recommend to ‘follow your heart’. If you really feel like doing it, nothing should stop you. Don’t forget you will always have your save base in Holland where you can fall back on. I truly believe it is better to regret something you did than regret something you did not do. Rebecca’s story tells us we should never silence our hearts or let fear control it. With the right mindset, anything is possible. So, are you inspired yet? If you are as addicted to your smartphone as I am, this might sound a bit scary. But after a few days of digital detox, you’ll ask yourself why you have never done this before. You see, in Cuba internet and WIFI are not that common. A lot of people don’t even have an internet connection in their homes, let alone on their mobile phones. And they don’t miss or need it. Some Cubans even believe that the internet should be banned from their country since it is making people less and less social. 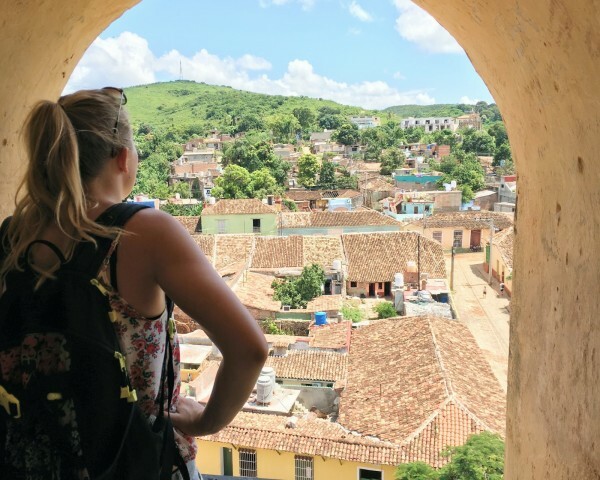 Do as the Cubans do, let go of the feeling of always wanting to be connected to the whole world. Yes, this also means no Google maps and no Instagram. Just look around you, talk to people and feel completely lost and happy. Relax, you’re on a holiday, a little boozing and snoozing won’t hurt. Specially not when you are in Cuba, home of the Mojito. This delicious rum cocktail is what it is all about in this country and you should try as many as possible. No Mojito is the same, whether it’s because of some secret ingredient, the vibe or the view. Not to mention that fact that this elixer of life usually is cheaper than a cola. So it’s best to take another one. The Cuba experience is not complete without a Mojito! 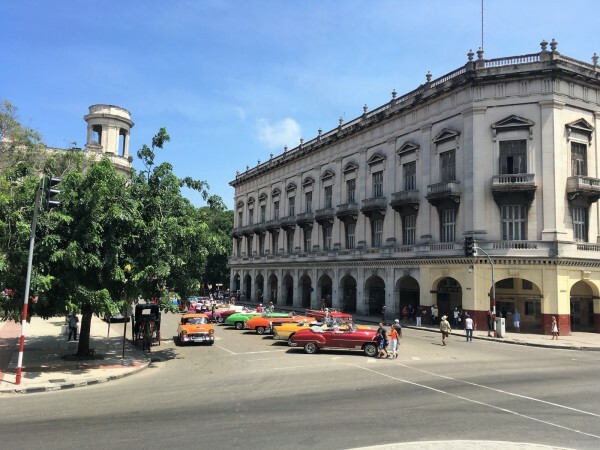 Hotel Nacional – Havana Vedado: this famous hotel bursts with history and the drinks come with an amazing complementary view. 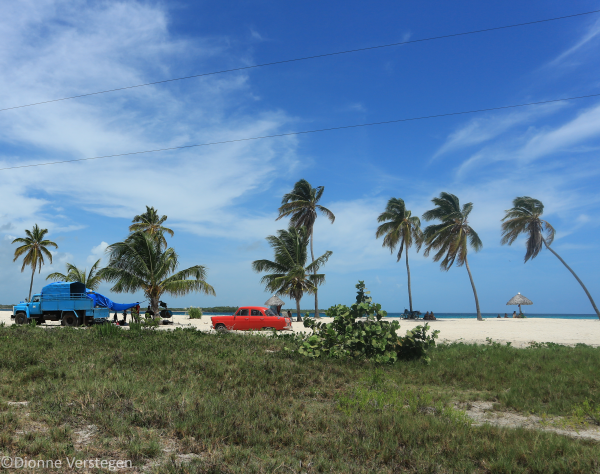 The little beach hut on Playa Los Cocos – Playa Giron: where the lifeguard is your bartender and the prices will have you order round after round. Centro Recreativo La Punta – Cienfuegos: in a little park, at the southern tip of Cienfuegos, a perfectly well dressed bartender will create a masterpiece for you with precision and craftsmanship. Of how I wish I was there right now. 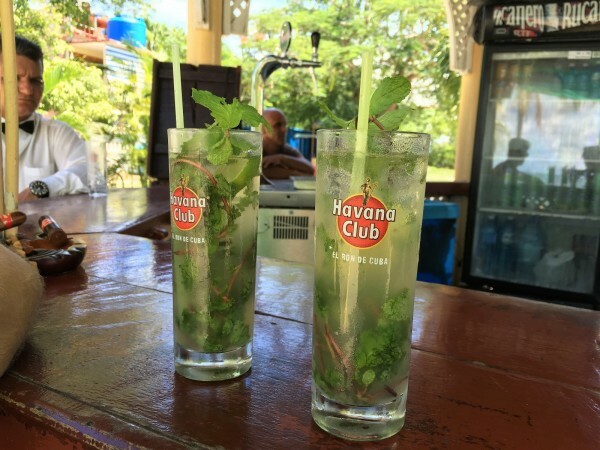 Hostal Colina – Trinidad: on the road to disco Ayala, this casa particulara offers ‘special Mojito’s’, and they sure are special. Just like the garden you will be in while drinking them. 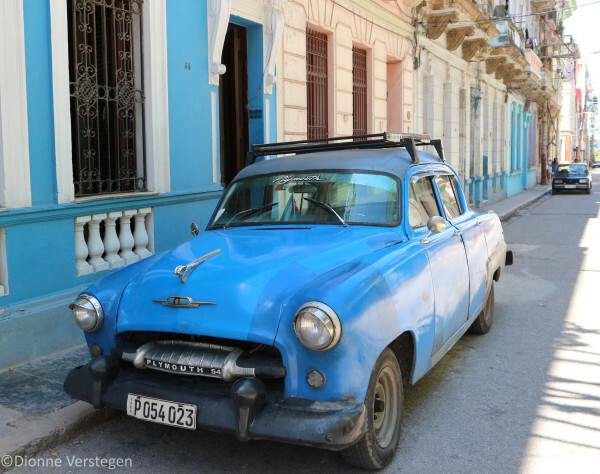 Getting around Cuba is easy if you book the Via Azul tourist busses. But it’s fun when you book a taxi collectivo! You’ll share this oldtimer ride with as many people that fit in the vehicle (and sometimes even more) and your luggage on top. 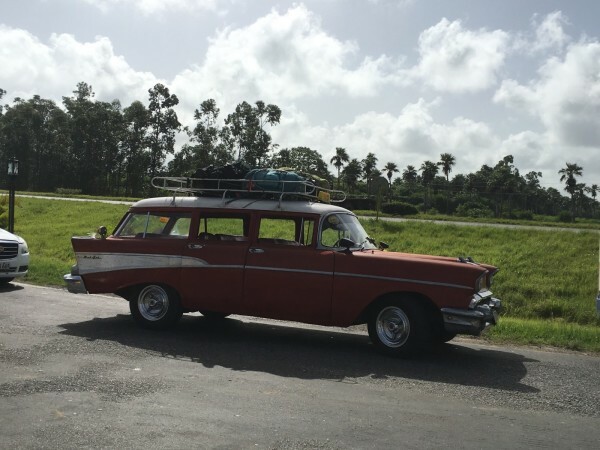 This is traveling in style, Cuban style. it’s easy to arrange your taxi collectivo on the streets, many drivers offer their services. Usually it’s easy to bargain and to come to an agreement of the price. Just never pay in advance, you can settle that with the actual driver on the day of your trip. 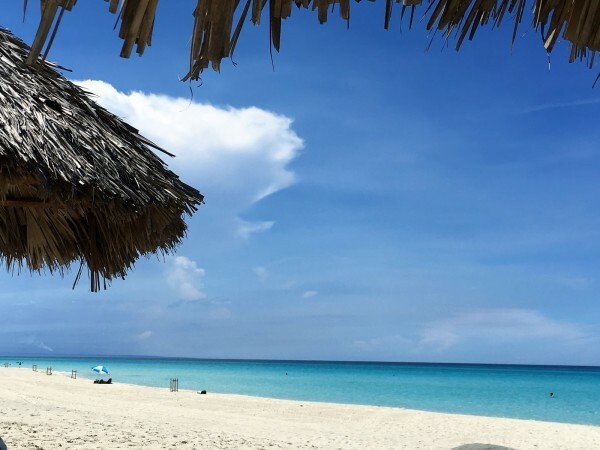 Thinking about booking a hotel in Cuba? Don’t even bother (unless you have unlimited funds and are aiming for an ultimate high-end holiday). Try a casa particulara, you won’t be disappointed. these casa’s are rooms that are rented out by the Cubans. Usually they come with your own bathroom, your own rocking chair on the porch and sometimes your own entrance. And if you are lucky, with breakfast. It’s the best way to travel for a reasonable price and feeling the local vibe. Also, Casa owners have lots of friends and family in other cities, so if your traveling onwards they always know a new casa and will even arrange it for you. Easy does it! 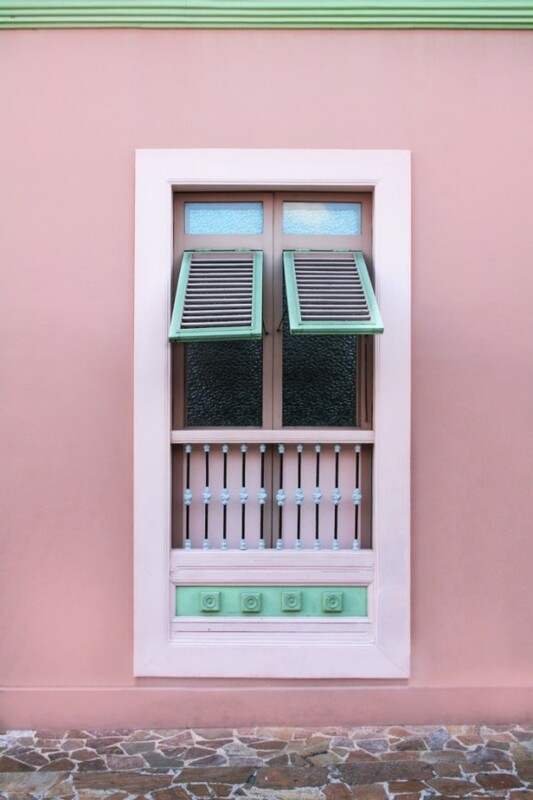 Casa Eliza – Rafael Trejo, Vinales: spotless rooms, your own entrance and breakfast under the gazebo. Oh and it’s just on street behind the mainstreet, hello centre location! Casa Hostal El Castillito Yaya y Monolito – Playa Giron: great food, big rooms and Yaya is like a mother to the guests. Casa Castro & Anita – between C43 and C44, Varadero: big rooms, great location and sweet people. What more can you ask for? Cuba is home to some real sweet diving spots. However, the best ones are hard to reach and will eat half of your budget. But there is this one place, between two very tiny villages, where the water calls your name and you won’t loose oxygen over the price. Bahia de Cochinos (Bay of Pigs) is where you need to be. There are several dive spots, suited for beginners to the more advanced Dive Masters. First timer? At Playa el Tanque you can go into the water without a boat. Just put on your tank and goggles and go! Best village to stay for this dive trip: Playa Giron. It offers not more than about 4 dusty roads, some houses and a war museum. But it has a beach, some restaurants and the divers bus to take you to the fishes. Dive and chill, my friends. Cienfuegos, it’s a pretty town a lot of travellers skip. Which is a shame since it is the perfect city to do absolutely nothing for a day or two (and sip on those amazing Mojito’s I mentioned earlier). But beside that cocktail, there is one reason why I would urge you to go to this city, and that is the way out to Trinidad. 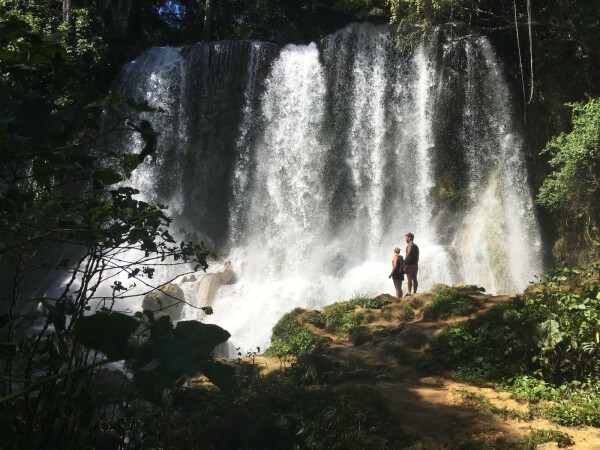 In Cienfuegos you can book a tour at Cubanacan to travel to Trinidad through the beautiful Parque Natural Topes de Collantes, including the amazing El Nicho waterfalls. At the end you will be dropped off in Trinidad. 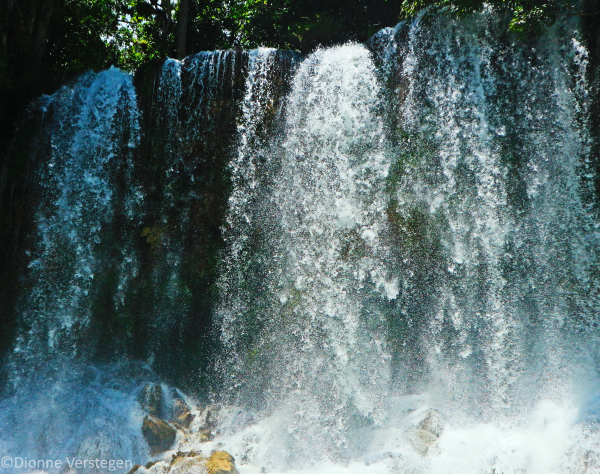 This private tour will take you through the mountains in a jeep, with a real Cuban tourguide. He can tell you all about the surroundings as well as the (communist) culture and lots of other stories. 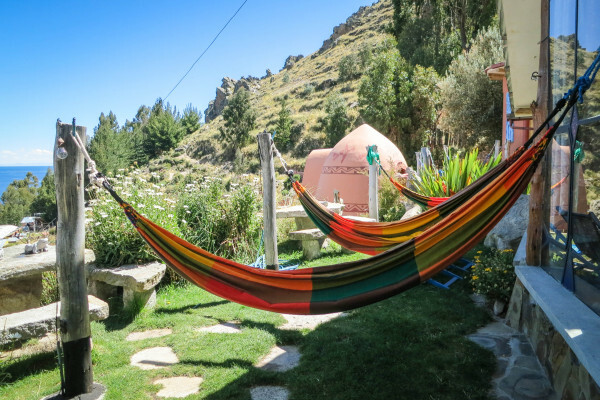 Plus, he knows exactly when El Nicho is not flooded with tourists and you have the natural swimming pools to yourself (oh and he can take stunning pictures from you). You’ll drive past small, simple villages (which have a school and a discotheque) and taste the most amazing coffee you will ever taste at this small cafe in the middle of the mountains. If you are lucky, you’ll also have the chance to sing along to The Backstreetboys playing on an old CD in the car. Here’s your authentic experience! Enough said. Go to Cuba. Enjoy it to the fullest. About 4 years ago, I traveled the world for six months. If people asked me which country I liked most, that was a tough question to answer, but I always mentioned Argentina because this is such a diverse country. Argentina is so much more than Buenos Aires; the city of the tango. Especially for nature and wine lovers, Argentina is the place to go. Here are some of my favorite sights. El fin del mundo: Ushuaia is the most southern city in the world. A lot of people come here for a trip to Antarctica. The close-by national park Tierra del Fuego, is beautiful. You can walk a various number of routes, and if you’re lucky you can see beavers, a fox, or even a whale. Perito Moreno is probably the most famous glacier of Argentina. 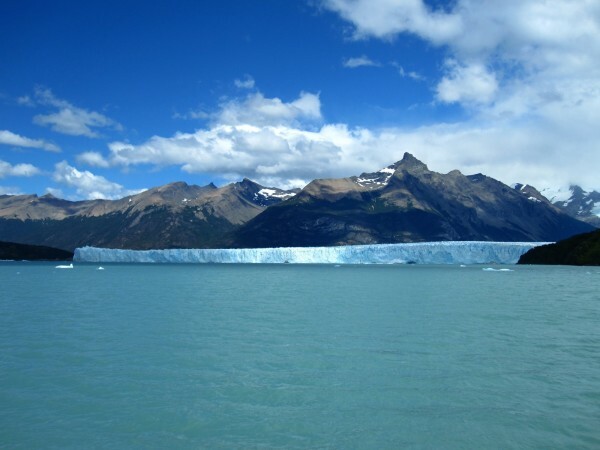 You can do several tours here; one at which you will walk on the glacier itself, or you can jump on a boat and sail along Perito Moreno and a few other glaciers. This might be a bit confronting, as the trip also shows the effect of climate change since you can very clearly see how much the ice has melted over the years. El Chaltén is a very small and cozy village from where you can hike in the Parque Nacional Los Glaciares. This is one of the few national parks in Patagonia that doesn’t have an entrance fee. In the village, you can rent all the equipment you need for a 2-day (or more) hike; a tent, sleeping bags, a map, etc. 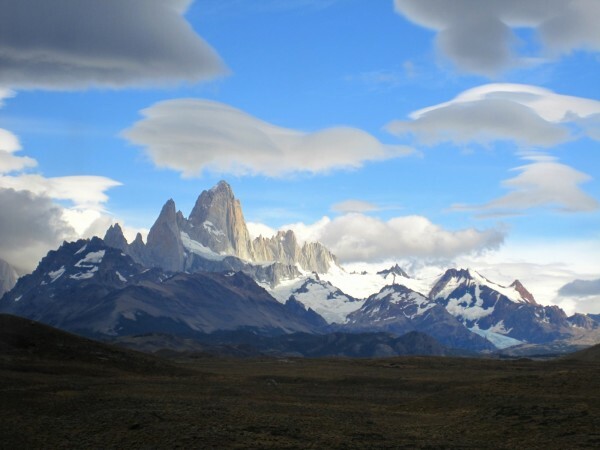 There are different routes to take but the most famous one takes you to Mount Fitz Roy. If you sleep at the camping of the national park and head off to the viewpoint early morning, you might be lucky enough to see what is supposed to be an amazing sunrise at the foot of Mount Fitz Roy. 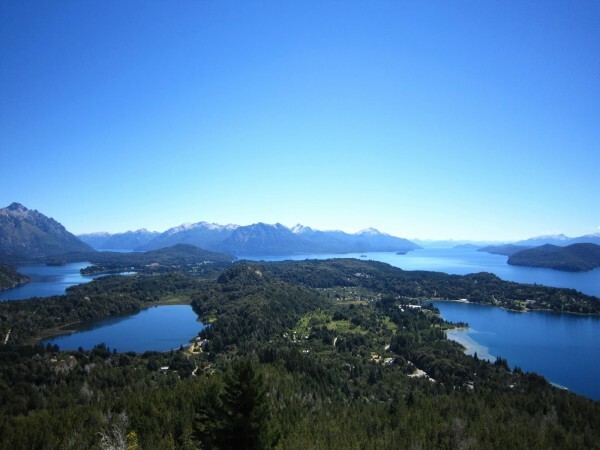 Bariloche is the heart of the lake district of Argentina. 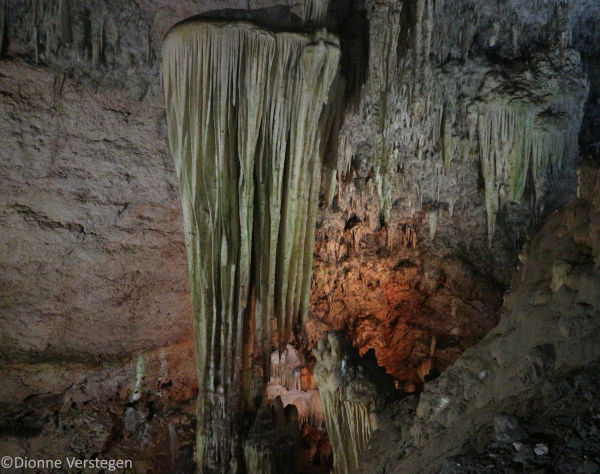 Although nature here is quite different from the more southern Patagonia, it is also very beautiful. You can rent a car (of bike if you’re very sporty) to ride along the seven lakes. You can also take the cable car to Cerro Campanario, from which you have a great view over the surroundings. Bariloche is also home to a lot of outdoor activities. You can for example go rafting or canyoning. I can highly recommend the latter, because here you will have the opportunity to descend a waterfall and that is just a great experience. Mendoza is most famous for its wines. Almost all Argentinian wines come from the Mendoza valley. A very good way to try a variety of wines here is to rent a bike and cycle along different wineries. Almost all of them offer a free tour and tastings for a very reasonable price. I think all these sights together show what a diverse country Argentina really is. I know that there are many more places to discover here, so I will definitely go back again sometime. What about you? Is visiting Argentina already on your bucket list? 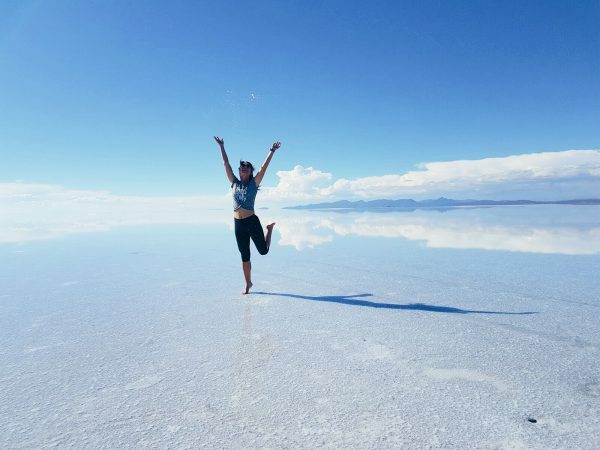 The Salt Flats in Bolivia, A Must Visit! 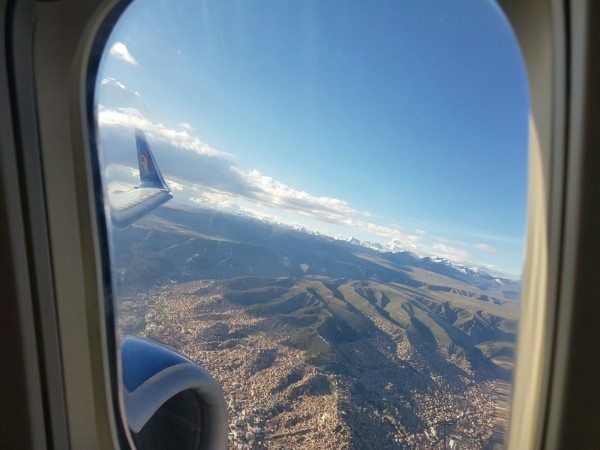 I traveled from La Paz to Uyuni by plane and I paid 1350 Bolivianos for a return flight (this is around 190 euro). The flight only takes 50 minutes and it departs at 7am with Amazons airlines or at 8am with BOA airlines. 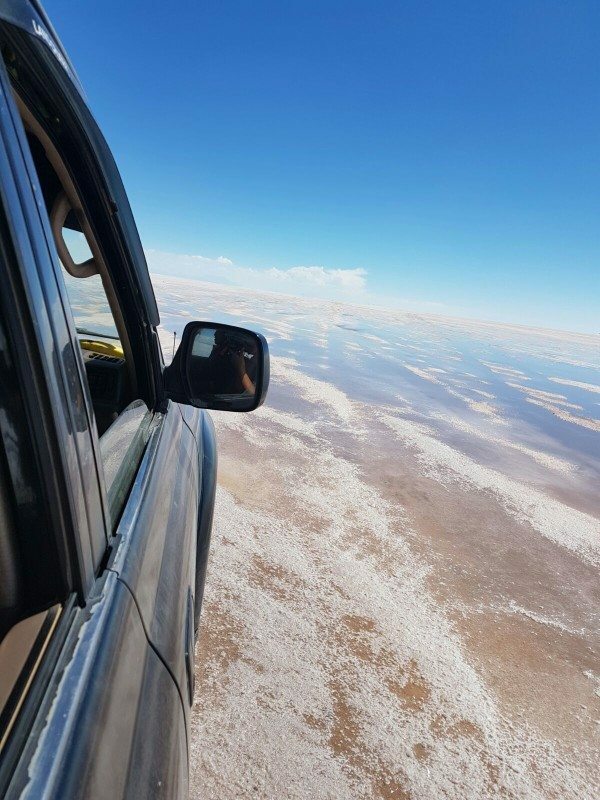 The view from the air is exquisite, you can already see the Salt Flats from here. 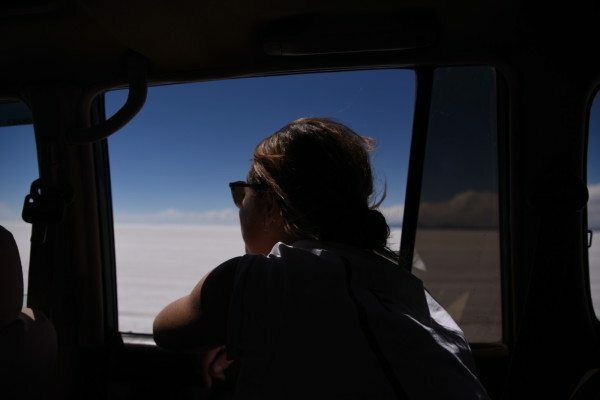 From the airport you need to take a taxi that will bring you to the center of Uyuni for just 10 Bolivianos (1.40 euro). 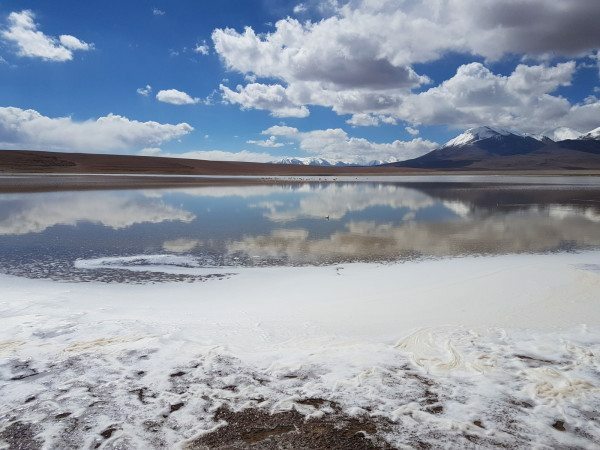 You can also take a bus from La Paz to Uyuni, that will only costs you 30 euros for a return ticket and they will drop you in the center of Uyuni. It takes around 8 or 9 hours one way (depending on the traffic). TIP! 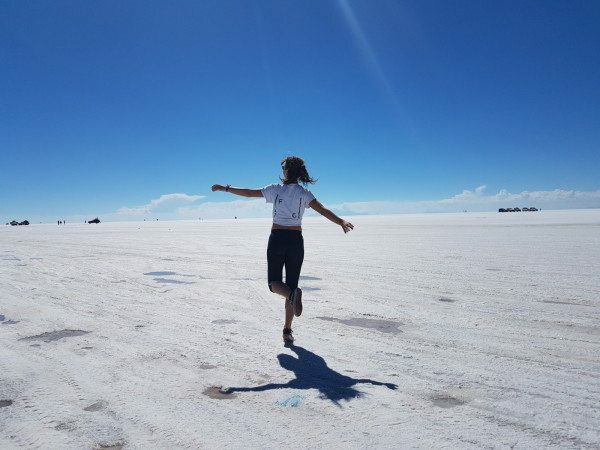 Make sure you arrive in the center of Uyuni before 10am, so you will have enough time to arrange your tour. The tour starts around 11am. 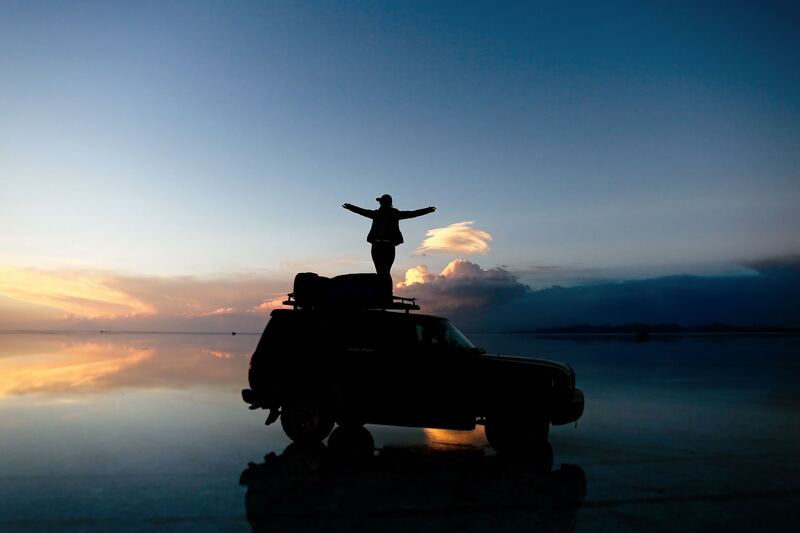 The Salar de Uyuni tours range in length from one to four days. 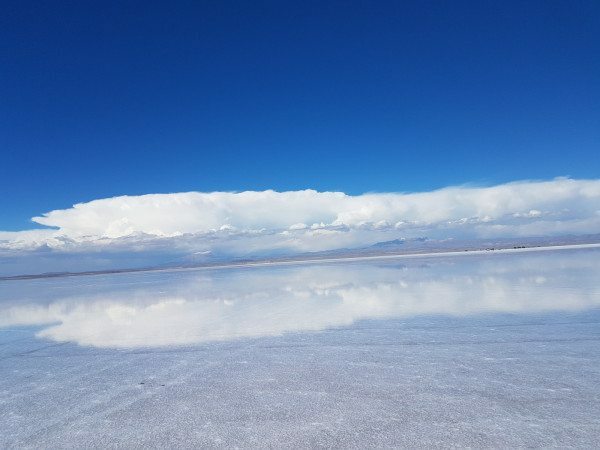 During a one day tour you will experience the salt flats as well as a few other sights in the surrounding area and you’ll do it by jeep. 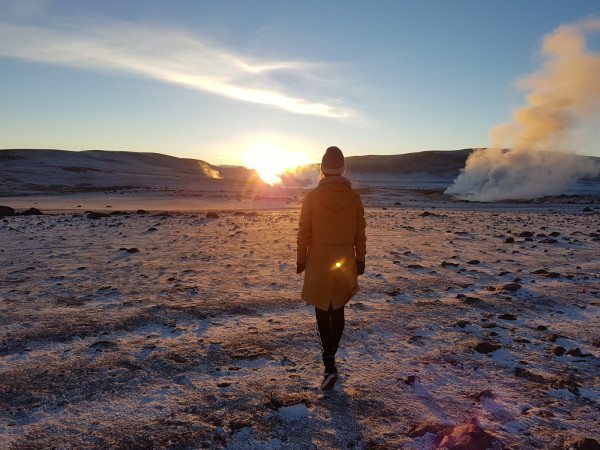 The three or four day tours will take you deeper into the desert where you will see steamy volcanoes, geysers, colorful lakes, warm hot-springs, unique wildlife and a lot more…..I definitely recommend a three or four day trip if you like a little adventure. 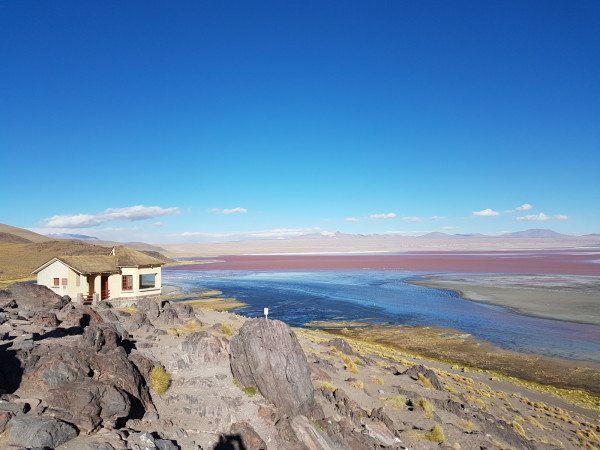 You can choose to book your ticket in La Paz (or another city), but we’d heard that it’s cheaper and also super easy to fix in Uyuni , so we decided to book it there. 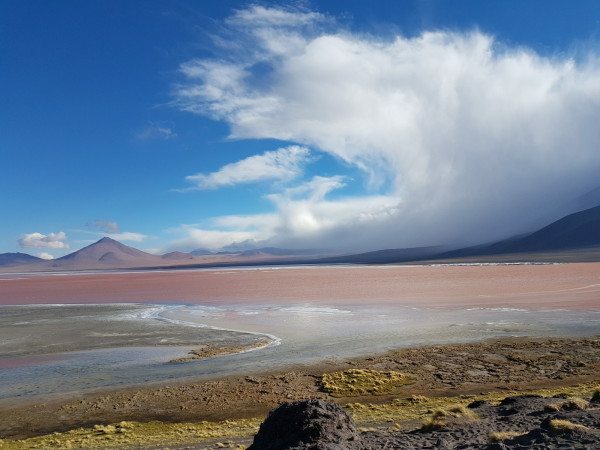 When you arrive in the center of Uyuni in the early morning you will find many local agencies who all want to sell a ticket to you. They will attack you and it’s hard to choose. For your info, they all offer the same tours, it’s just the price that diverse from the other. 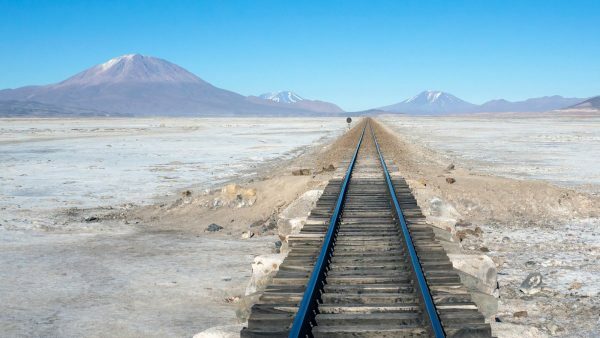 Eventually it’s cheaper to book your ticket in Uyuni. 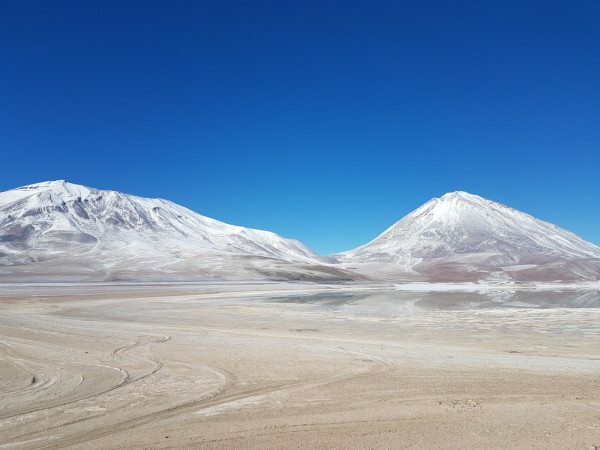 We paid 680 Bolivianos for 3 days, including food, drinks and 2 night’s stay. TIP! Try to find at least 5 people and start to negotiate (every jeep will take a group of up to 6 people). The Sunset at the Salt Flats is something else.. TIP! Bring your own wine! Or…. If your wine is finito and you wish for more than you can buy it in the small village where you are staying (around the corner), that sells beers, wines, cookies, chips and more. 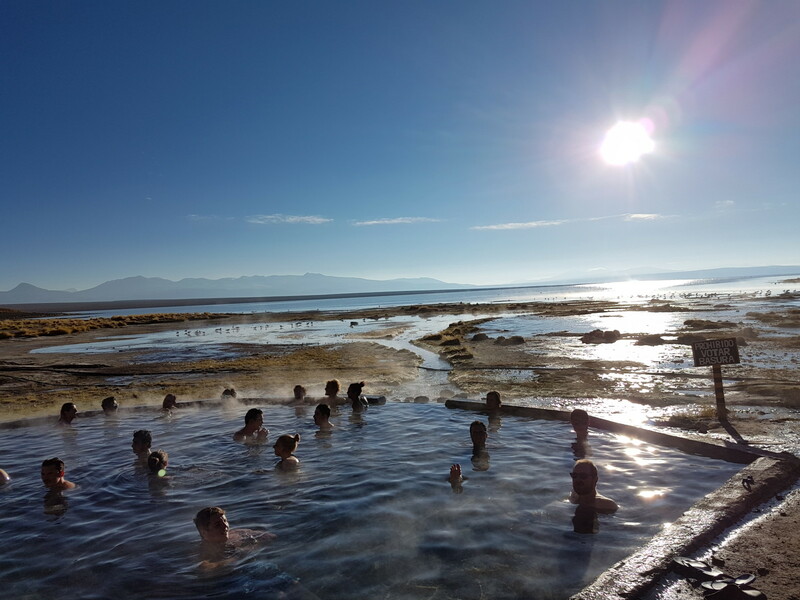 The natural hot-springs. The volcanic activity produces some thermal springs. Best way to get warm again. 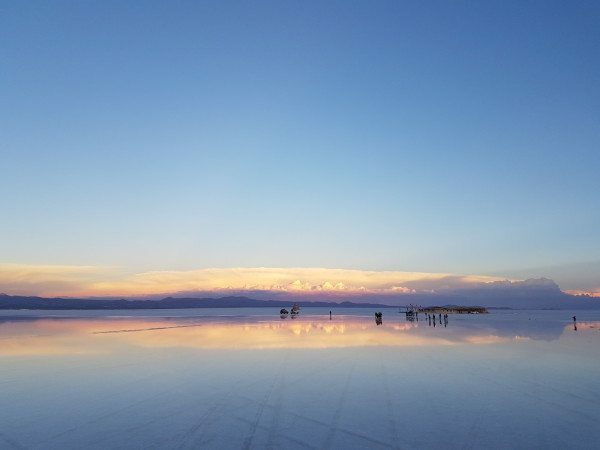 You can describe the Salt Flats tour in one word: Memorable! Peace on earth, the freedom to make your own decisions, is what the leaders of Catolicas Por El Derecho A Decider in La Paz pray for. Men make decisions for their women when they get married: How many children they get, when they can visit a friend, the approval for a medicine…. and a lot more. 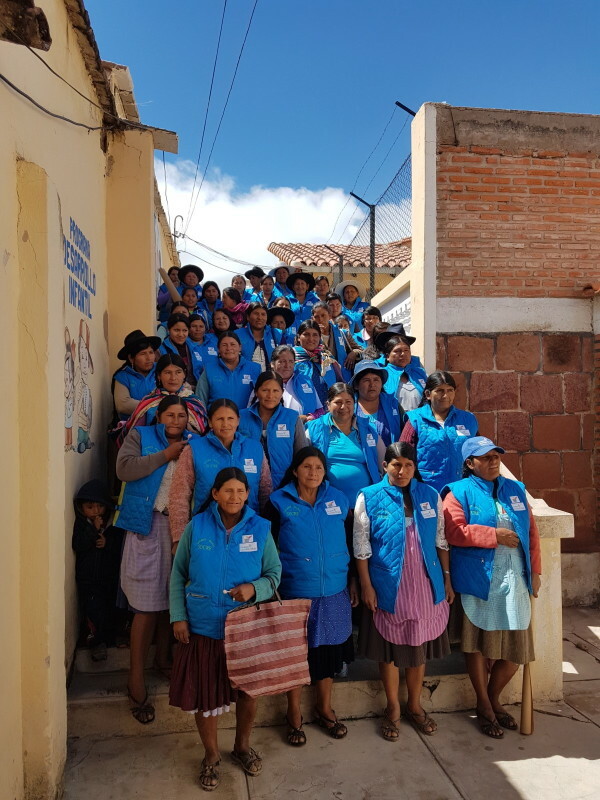 The leaders in La Paz are on a mission, they want to inform women about their rights and their possibilities in Bolivia. 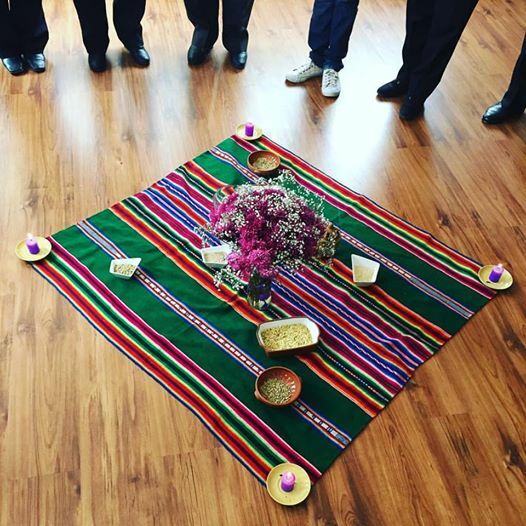 Before speaking with the local leaders of Catolicas Por El Derecho A Decidir about their mission, we made an offering of seeds and water to Pachamama (Mother Earth). 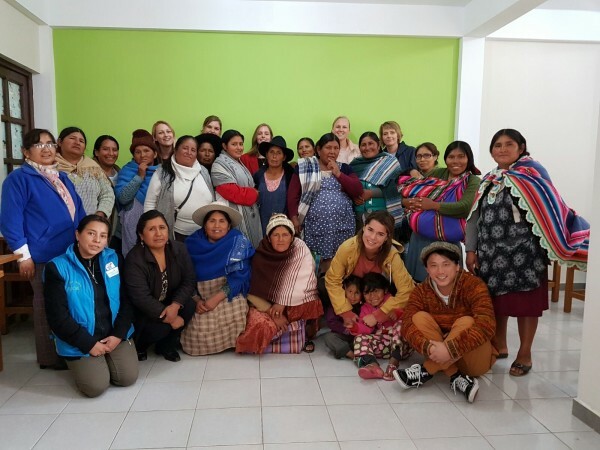 Together we prayed for women inside and outside La Paz, for a brighter future where men and women are equal! It was a special moment to experience. She’s 60 years old, makes handmade clothes and sells it to friends and family, she has 4 children and is married. She found a very nice husband, but in the beginning he was super jealous and therefore she couldn’t leave the house. “He expected me to cook, clean, wash and that’s it. I spoke with other women in my village and some of them were studying and I wanted the same!” Eventually she was allowed to take some courses and after their children were old enough her husband changed his perception. Since then she can do whatever she wants as long as she tells him. She’s is super happy that she can inform and help other women and she wants to do this until her last day! She’s 41 years old, bakes cookies and cakes and sells it on the local market, she has 5 children and is married. “My dad was an alcoholic and hit my mother on a daily base. My mother protected us, so we stayed unharmed. One thing I know for sure is that I didn’t want to end up with a guy like my father. I found a super sweet man, but his family was horrible. They told him many times that women who wanted to explore are not worthy. So I was not allowed to do anything (work, study.. etc.) and I had to stay home. It got better when other women in our village talked about projects where they learned to sew and cook. This is how I learned to cook even better and eventually I got in contact with Catolicas por el derecho a decider where I now give workshops to my own village people. My husband supports me completely and his family has to deal with it. 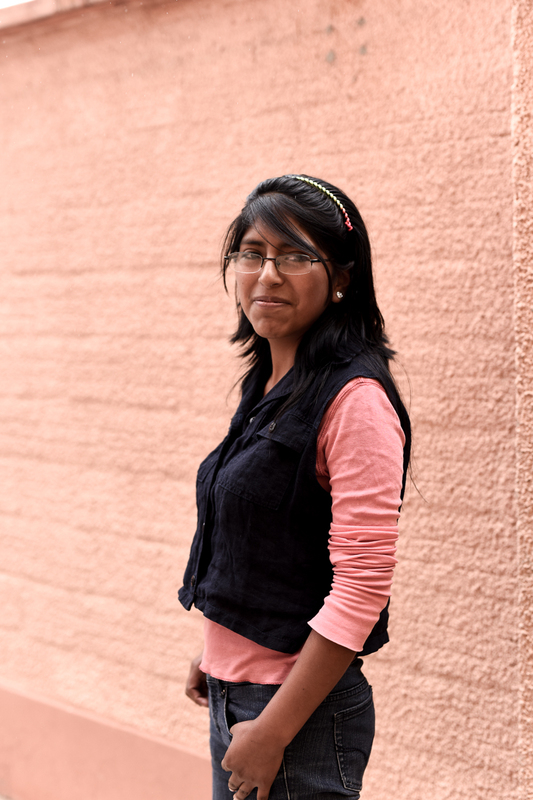 She’s 24 years old, studies Communication on the University in La Paz, she has one little daughter of 4 years old and she’s divorced. Alejandra got accidentally pregnant when she was 20 years old. She wanted to end her pregnancy, because she was still studying, they didn’t had money and her relationship wasn’t that great, but her husband forbid her to do so. He humiliated her when he found out that she wanted to kill their baby. She didn’t have another option, so decided to keep it. Within a few weeks her husband left her and their child for another woman. Luckily her parents helped her out and so she continued her study. She is in her last year, she gives workshops and leisure’s about the possibilities for women on high schools. She talks with young girls in the hope that they have the opportunity to make their own decisions. She’s super optimistic about her future. 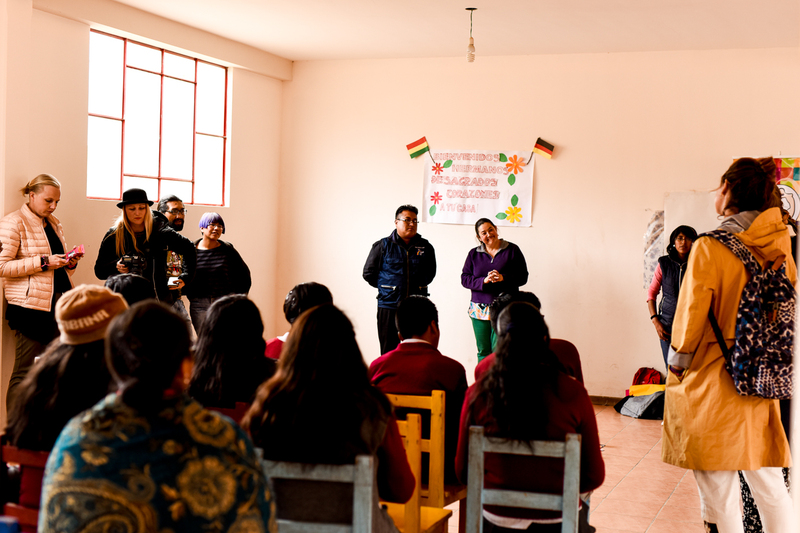 After lunch we traveled together with some of the leaders to a Highschool where Catolicas por el derecho a decider gives workshops to young children about gender equality and more. A big problem with young female women is that they get pregnant on a young age and they have no idea what their options are. This day they introduced something new, a card game with questions: What would you do when you got pregnant? Is it OK to enjoy seks? Where to go to when you are pregnant? They try to inform children in a fun way. 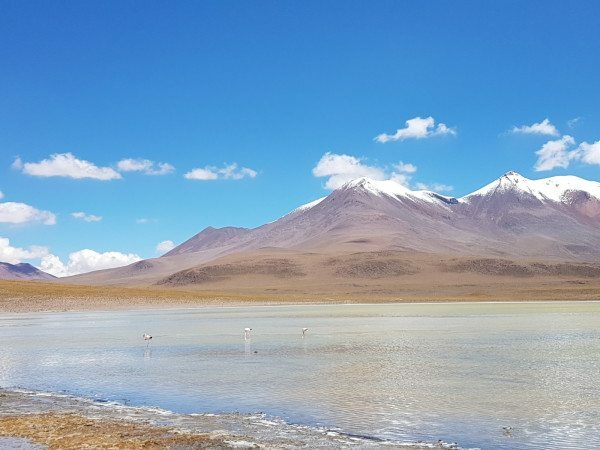 One of our reporters Renske appointed it perfectly in her article: “You read a lot about Servië, Iran and Eretria, but we only read about Bolivia in travel magazines. The prays and life lessons of these leaders plus the workshops of Mensen met een missie are needed as you can tell. Please donate of you haven’t done yet here!!! 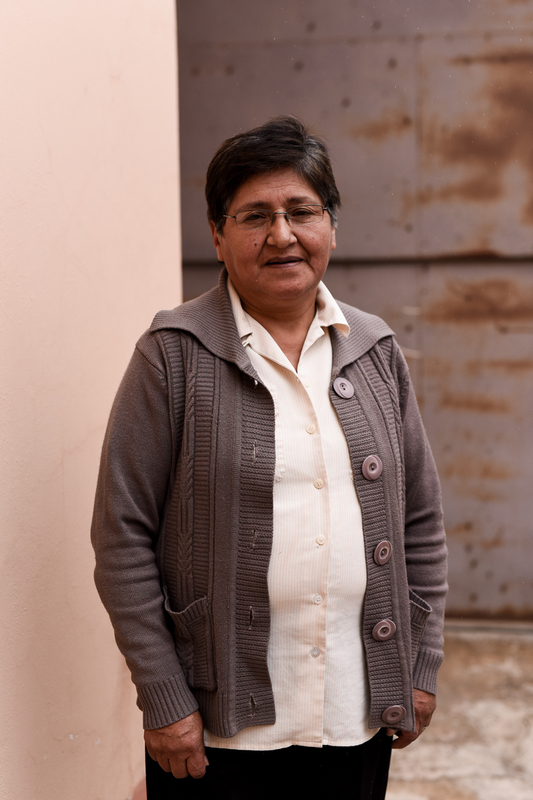 For some women in the world the 8th of March is just another ordinary day, but for women in Bolivia it is ‘the day’ that they fight against violence. 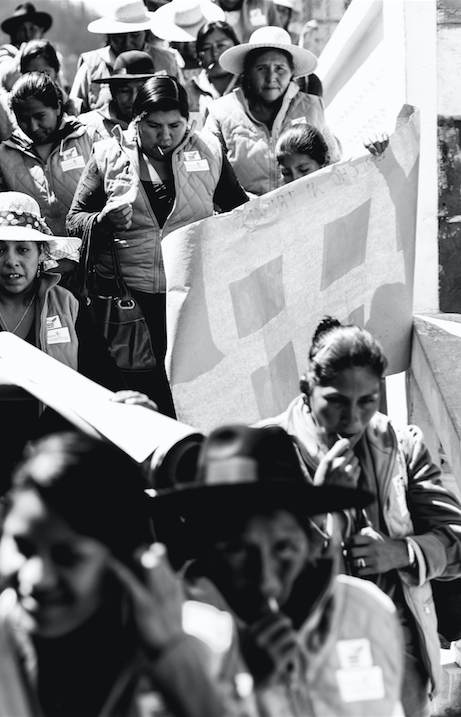 We marched on the streets in Sucre (Bolivia) with around 50 women who all have something in common; they are humiliated and scarred for life. I’ve asked myself the question, will this ever stop?! Sucre – ‘la ciudad blanca’ or white city, is the capital of Bolivia which lies at an elevation of 2,810 meters. Many of the buildings in the center of this beautiful white-washed town date back to the 16th century. 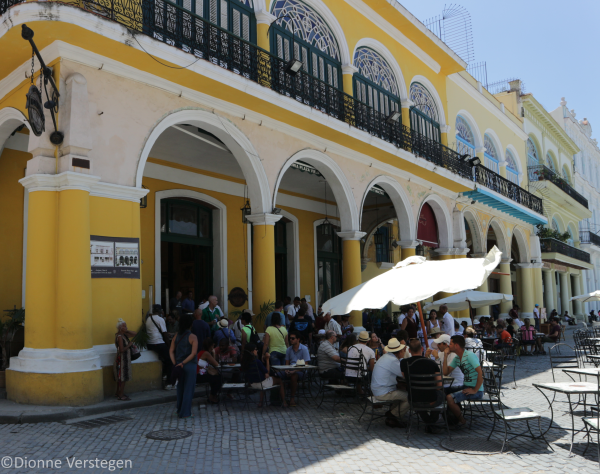 It’s famous for it’s historic buildings, indigenous culture, nightlife, bars and restaurants. An old-world charm place that is unlike any other. It seems so peaceful, but a lot happens behind doors. A memorable day in Bolivia we will never forget! 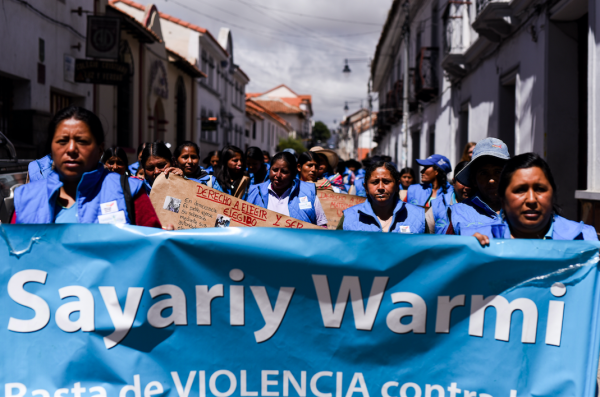 In the early morning we walked with our group of volunteers to the Levantate de Mujer office where around 50 women were ready to march the streets of Sucre. And we marched with them! They were holding brown papers and shouted what rights they should and want to have: the right to study, the right to work, the right to choose who to marry…… To make an end to discrimination based on gender! Interview with local radio and tv! We gathered around at Playa Major with lots of other women and luckily also some men. 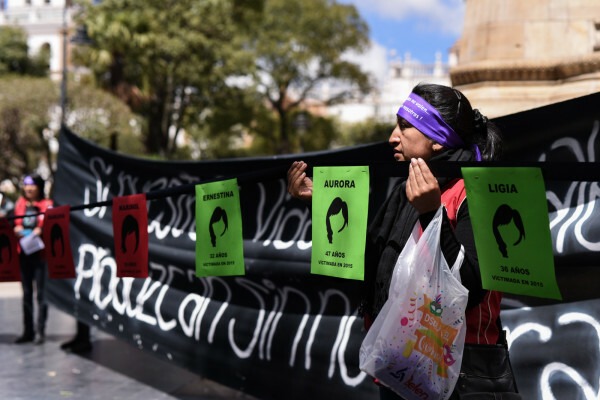 Aracely, 21 years old – Marilena, 17 years – Ligia, 36 year – these are a few of the names and ages of women who are murdered, beaten to dead or burned. These names are visible on a ribbon of waving flags on the square. The leaders of Levantate de Mujer gave interviews to local radio and tv shows. The problem is clearly visible today and that’s definitely needed. 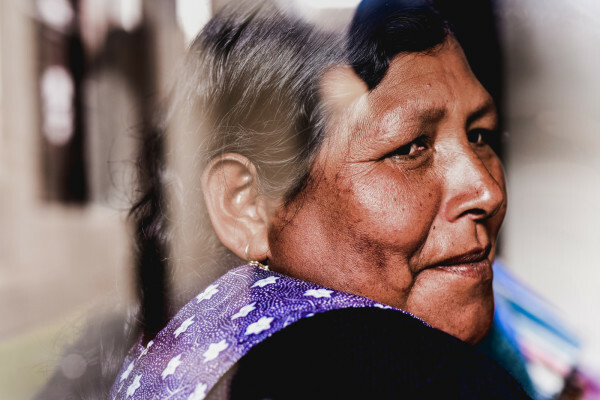 In the afternoon we spoke with some of the women who participate in projects of Levantate de Mujer. We cried with her and we were quiet for a few minutes…. There’s still a lot of violence against women, but with the help of the workshops of Mensen met Een Missie there’s an opportunity for these women! So if you haven’t donated yet, than please do here! You won’t see me sipping on cocktails on a white sandy beach these next couple of weeks. Nope, this time you will see me visiting various local organizations in Bolivia for Dutch organisation ‘Mensen met een Missie’. Wander-Lust and a group of volunteers are here to support the human rights for women. 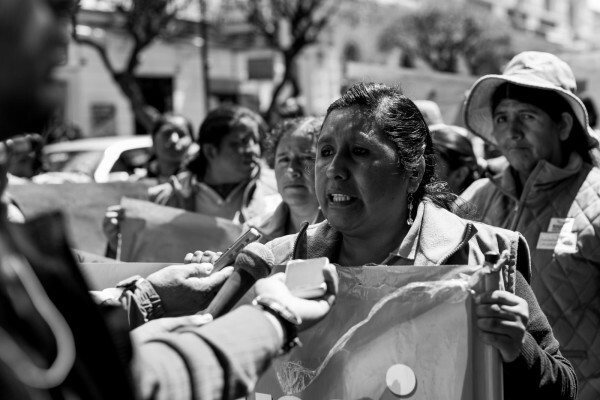 There’s a lot of violence against women in Bolivia. Seven out of the ten women are dealing with physical or sexual abuse. I haven’t seen any violence in the streets in Bolivia so far, but it happens at home where you won’t see it. 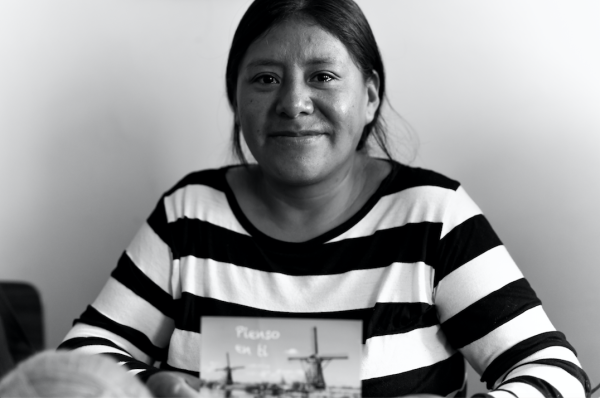 ‘Mensen met een Missie’ supports young people and victims and I got the chance to talk with these women and to share their stories with you. Today it’s International Women’s day, the day where we celebrate women’s achievements and opportunities worldwide. 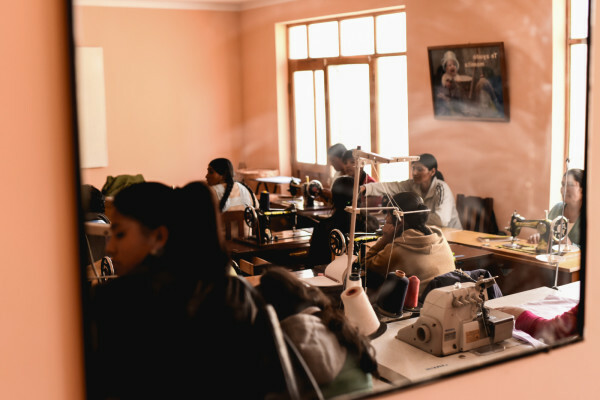 A very important day for these women in Bolivia. A woman of 37 with two kids of 17 (student of a university) and 11 (student) wasn’t afraid to share her story. She was a victim of violence, but not anymore. She learned via workshops how to stand up for yourself, how to treat your kids and how to be independent. She has her own business in kids clothes and is happy that her kids are doing great. She’s very thankful that she got the support which helped her to be where she is right now. My husband told me day in and out that I was stupid, not good enough for our kids, that I was ugly and a lot more. I got in contact with Levantate Mujer (local organisation which Mensen met een Missie supports) via my neighbours and after a few workshops from Mensen met een Missie I learned that it was not normal how my husband treated me. 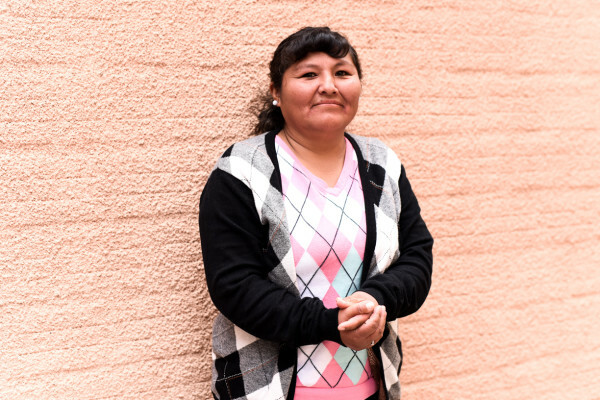 Within a few weeks Patricia got an enormous amount of confidence and decided to leave her husband. She learned how to educate her children (5 kids between 4 and 15) and her goal is to give them a ‘normal’ future. 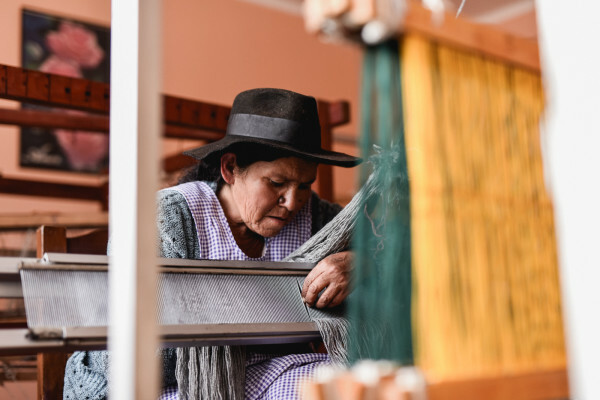 She now works on a local market where she sells bags and more handcrafted items. 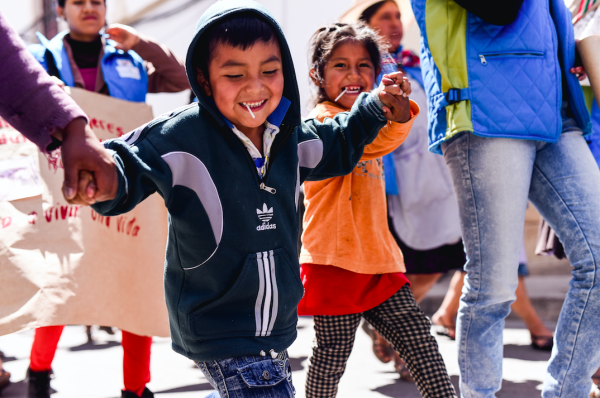 Mensen met een Missie was founded in 1931 and is involved in about 350 initiatives of partner organizations in 16 target countries, Africa, Asia and Latin America. They join forces and coordinate their program with other stakeholders in each of the 16 countries. 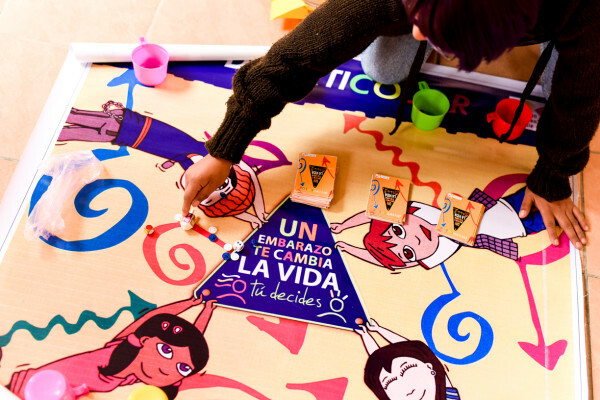 One of the countries is Bolivia, where they support local organisation Fundacion Levantate Mujer in 5 different cities. 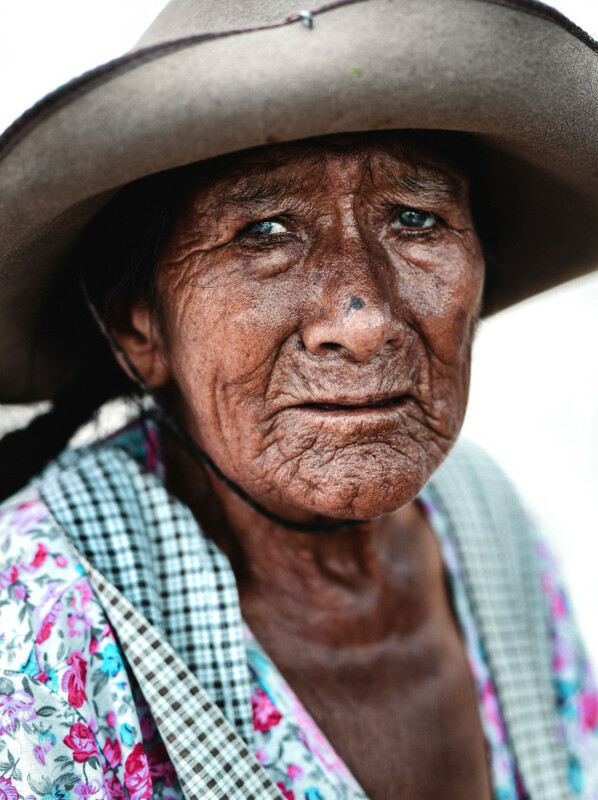 Levantate Mujer, means women who stand up’ is the organization who helps women to build up an independent life and teach them the rights for women (that’s it not normal that their husband is beaten them up). These women have has a hard time: now money to feed their kids and there was no place where they could go to. Finally there’s a place where they can go to. One of the things they are focusing on is reducing the violence against women by learning women what their rights are. Mensen met een Missie is supporting this topic with workshops. 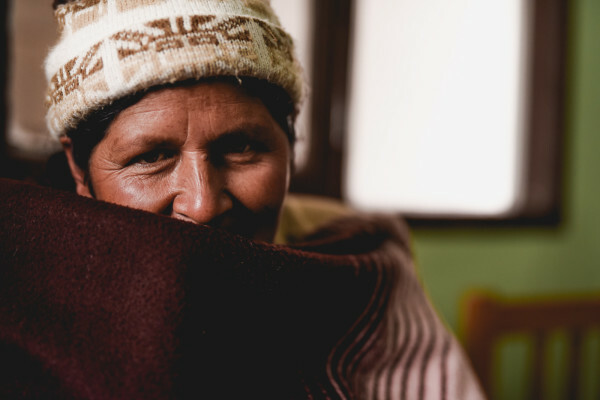 Women get the change to enter one of the shelter homes of Fundacion Levantate Mujer where they learn how to cook, sew, knitting and more for free. They also have the opportunity to learn how to work with computers. Mensen met een Missie offers workshops every month where women get informed about women rights and how to educate their kids. This local organisation offers child service upstairs for their kids between 2.5-5 years old and for kids from 5-6 years old they help out with school stuff for their children that go to school. This way they make it a lot easier for women to take courses and workshops since they don’t have to babysit. Hopefully it’s gives you a better understanding of where the money will go when you donate. If you haven’t done so yet then please do! It’s a beautiful initiative and they need your help to keep on supporting these women!